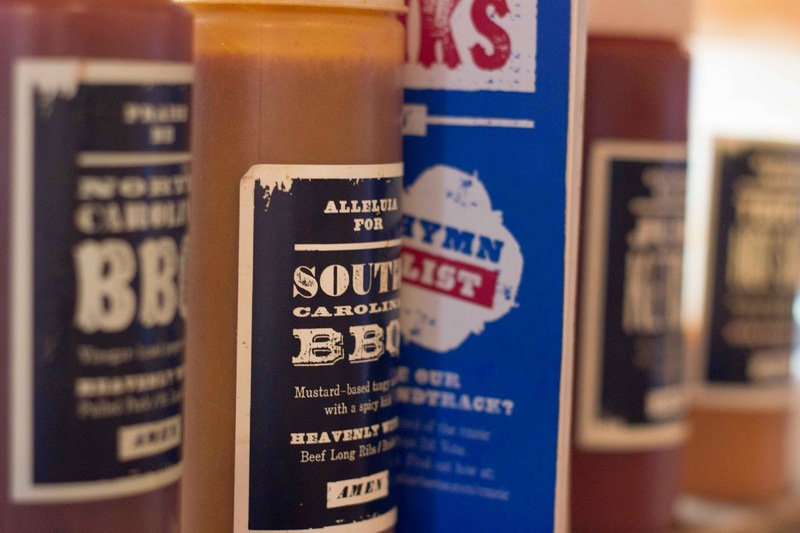 This maybe super weird but I am obsessed with slow cooked, smoker type BBQ, things like pulled pork & brisket...really American style BBQ. 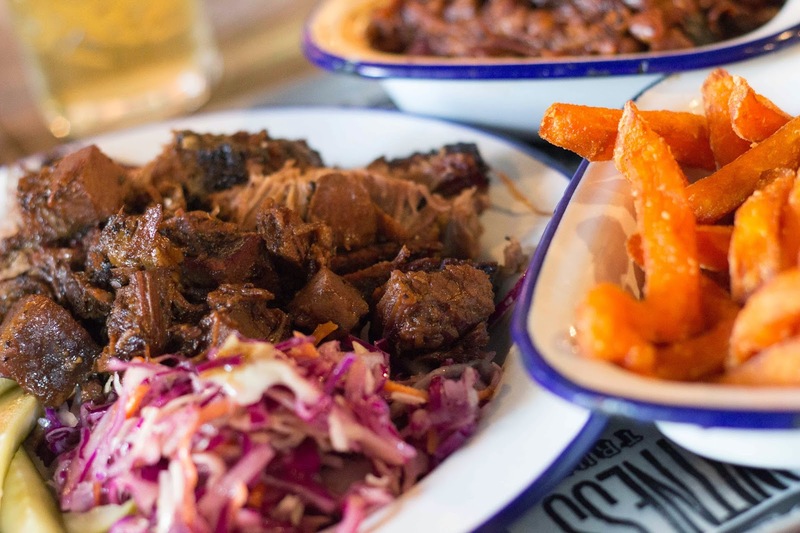 So when Red's True BBQ opened in Leeds it went on my list as a must do. 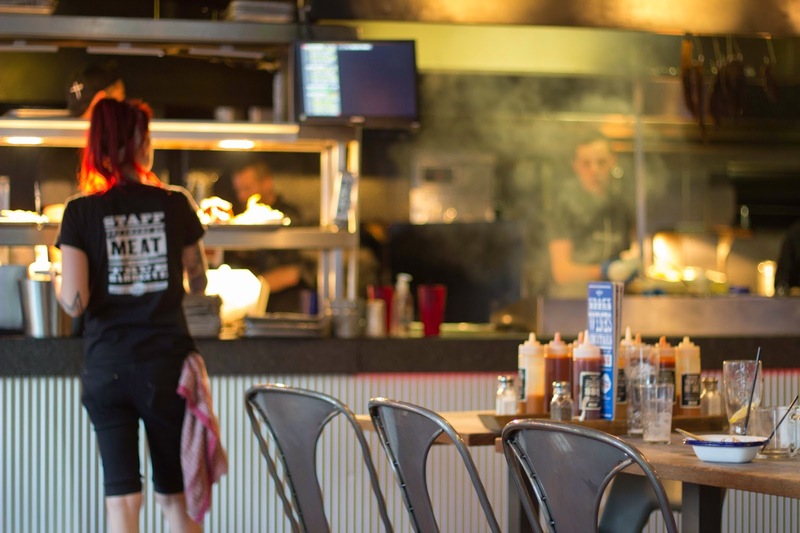 That was embarrassingly long ago - so long ago that Red's has opened up a new location since then - but finally, FINALLY I have been & let me tell you it was so worth the wait! 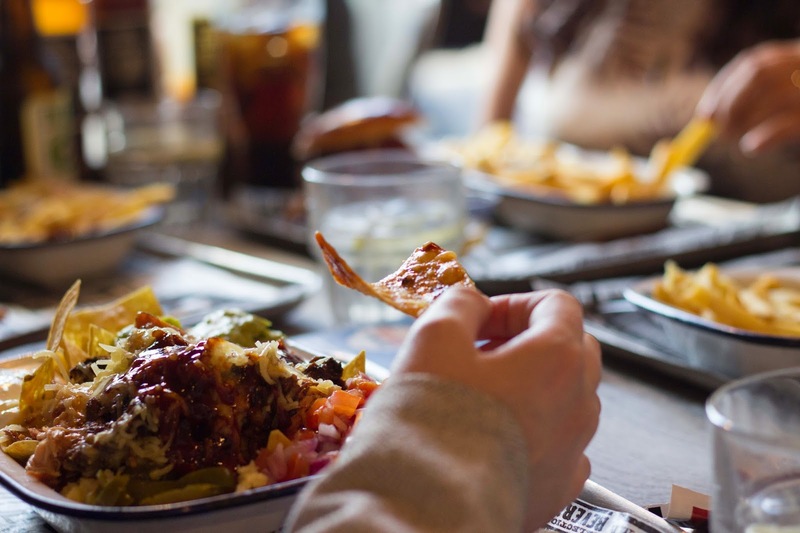 Once a month Leeds bloggers do a dining club & this month my body actually let me go (mostly because it was being pushed through it, I mean RED'S BBQ! I needed to be there!) So I got to go to Red's with a mix of newbies & regulars (or at least as regular as you can get at a restaurant that is constantly over busy). Red's has this whole religion thing going. 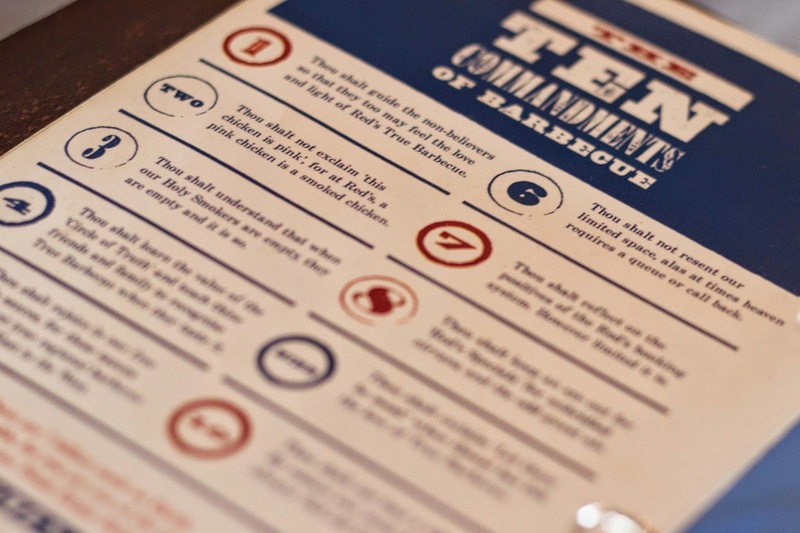 As you go in the counter for seating is decked out like a church lectern or pulpit or something, and obviously there are the ten commandments of barbecue. The ambience is good: it's kind of got an industrial grunge feel with raw wooden tables, metal chairs & loose light fixtures, the wait staff are super nice & it is seemingly ALWAYS busy. My only problem was the music is unbelievably loud (at least on the day I went). If I was going to go again I might have to take my noise cancelling headphones. I'm serious! I struggled to hear the person sat next to me! I so need to get a smaller fixed length zoom lens. On my camera this one is just too big. Obviously, the thing that everybody raves about when they go to Red's is the food & rightly so! I got the brisket & it had great flavour, a visible smoke ring & it was MELT IN YOUT MOUTH!!! But you know, they also have the MOST amazing sides. I seriously struggled to pick sides but finally narrowed it down to the sweet potato fries (which were the best example of sweet potato fries I've yet experienced) & the BBQ baked beans (which are spicy & very meaty & - in my opinion - best enjoyed as take out with added honey, they need to do a sweet version *nudge nudge Red's*). Now I carefully saved room for dessert because I had seen on the menu the words "Pecan Nut Fudge Ice-Cream". They were actually out of that (I guess I will HAVE to go back to try that, such a hardship(!) 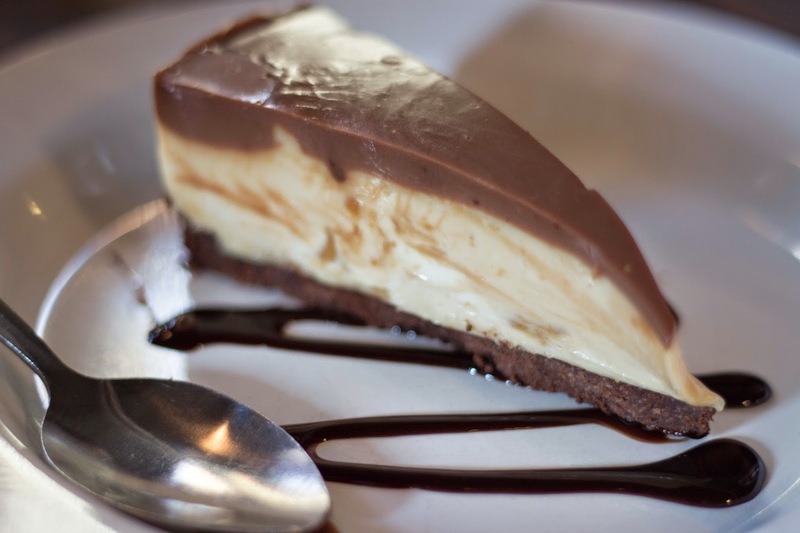 ) so I followed the lead of my fellow bloggers & got the chocolate peanut butter cheesecake. I LOVE peanut butter desserts but they have a tendency to be stodgy & sticky & sometimes ever sickly. This was none of the above. The mixture itself was light as air" the biscuit base was kind of like the outside of an oreo & the top was very.....Reese's Peanut Butter Cup chocolate. It was all slightly like that actually. I kind of wish it came with a side of salted peanuts (it was all very much the same texture) but even without that it was pretty special. So much yummy food! Glad you got to get out and have some fun :) Hope you are well!